Warning: if this article causes any distress or crisis, please call the Indian Residential Schools Crisis Line at 1.866.925.4419. Six-year-old Phyllis Webstad excitedly wore her favourite orange shirt at St. Joseph Mission Residential School on her first day. She didn’t understand why the shirt her grandma gifted her was stripped off her back by school staff, only to be replaced with a foreign outfit. She didn’t realize losing her orange shirt that day would become symbolic decades later, commemorating survivors of the harms of forced surrender to an education system specifically designed to strip her of her identity. Orange Shirt Day is the story of a heartbroken child, symbolically mirroring the heartbreak of thousands like her. The inexplicable trauma of the peoples affected by residential schools can be felt through generations of Indigenous communities to this day. Orange Shirt Day is a reminder of colonial, racist, and systemic practices put in place to oppress Indigenous communities. Today, fearmongering of ‘the other’ – those who are non-white and/or marginalized – continues to echo through dated and dangerous political rhetoric from the Ford government and our southern neighbours. Over the summer, the Ford government cancelled a project to update Indigenous content in the school curriculum on Truth and Reconciliation. The content discusses Indigenous perspective, experience, and culture that have been muted in Canadian education. Indigenous communities steward this land and are vital members of Canadian society. The exclusion of Truth and Reconciliation writing in the curriculum is a form of outright, systemically approved racism. The goal of Indian Residential Schools was to assimilate Indians into society. The Canadian government operated Indian Residential Schools in partnership with the Anglican, Catholic, Methodist, and Presbyterian churches, among others. The Canadian government was financially responsible for Indian Residential Schools. Indian Residential Schools operated in all Canadian provinces and territories except Prince Edward Island, New Brunswick, and Newfoundland. Indian Residential Schools operated in Canada between the 1870s and the 1990s. The last Indian Residential School closed in 1996. Children between the ages of 4-16 attended Indian Residential School. It is estimated that over 150,000 Indian, Inuit, and Métis children attended Indian Residential School. What Were Residential Schools and Who Created Them? 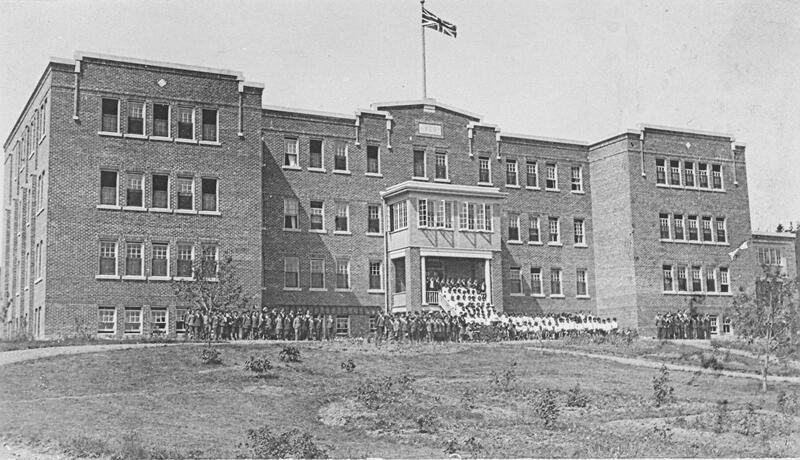 The Canadian Indian Residential School was formed by the Government of Canada in the early founding years of this nation. In the 1870s, the concept of the Residential School system was based on the clearly stated and documented goals of assimilating Indians. Amendments made in 1884 to the Indian Act enforced the creation of Residential Schools, funded through the Government of Canada, Roman Catholic, Anglican, Methodist, Presbyterian and United churches. Some schools were funded provincially, and 16 identified Residential Schools existed in Ontario. In 1920, more amendments dictated that every Indian child from ages 7-16 had to attend Residential School. In 1933, legal guardianship of the Indian children Residential Schools them was assumed by the principals of those schools – upon forced surrender by parents. What Happened in Residential Schools? Learning English or French, foreign religious denominations and habits were just some of many forced changes. Children attending Canadian Indian Residential Schools were forced to abandon Aboriginal languages, cultural beliefs, attire, and way of life. 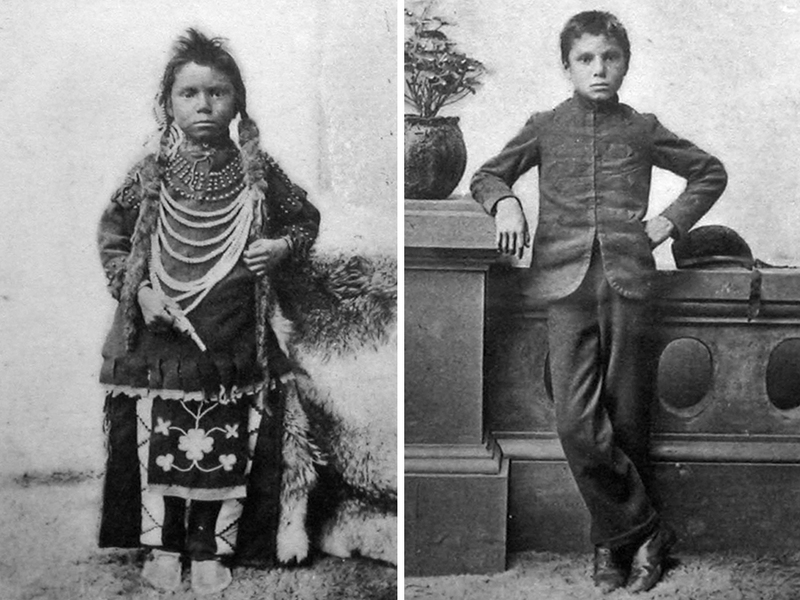 These children did not have positive experiences – documented cases of torment within residential schools include sexual assault, forced abortions, lack of nutritious diet – often served spoiled; the use of racist language, vilification of traditions and culture, and lastly – withholding contact, letters, and presents from family. It took the Canadian government over a hundred years to formally issue a Statement of Apology. It wasn’t until 2008 that Prime Minister Stephen Harper issued this public apology to the Aboriginal Peoples, finally acknowledging the impact and role of the Canadian government in the Residential School system. As members of the education community today, there is deep shame felt over the implementation of practices under the guise of education by Residential Schools. It was not education, but the cleansing of Indigenous cultures and ethnic practices. Constant, informed discourse is important. Orange Shirt Day represents a time of year when thousands of children were taken from their homes and forced into Residential Schools. ETT remains committed to upholding ETFO’s endorsement of the Truth and Reconciliation Commission’s Call to Action. Orange Shirt Day serves as a reminder that our work with the First Nations, communities, and government must continue in the spirit of Truth and Reconciliation. Read about the Truth and Reconciliation Commission’s Call to Action. Read more about reconciliation and find useful resources on how to incorporate aboriginal education into classrooms. 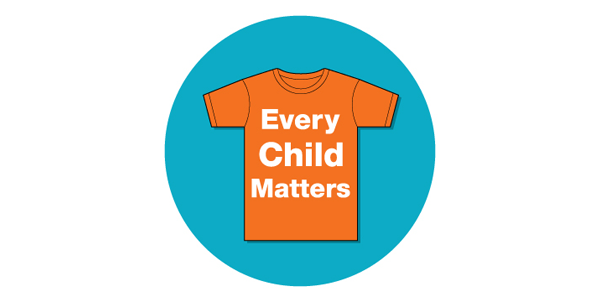 Read more about Orange Shirt Day at orangeshirtday.org and why we support it at the ETFO website.